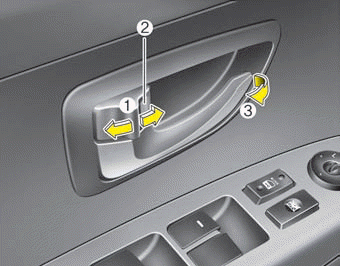 If the inner door handle of the driver’s or front passenger’s door is pulled when the door lock button is in the lock position, the button will unlock and the door will open. 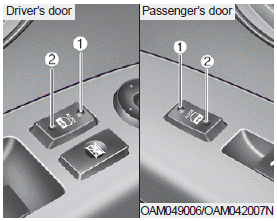 The doors should always be fully closed and locked while the vehicle is in motion to prevent accidental opening of the door. Never leave children or animals unattended in your vehicle. An enclosed vehicle can become extremely hot, causing death or severe injury to unattended children or animals who cannot escape the vehicle.